If you would like to advertise, sponsor a giveaway, or have your product reviewed, please contact Keri with your request! I am now offering 125x125 Ad Spots on my blog! Read more about it HERE. I am also available to teach coupon workshops in Eastern South Carolina and speak at events. Please contact me for more information. I have been featured in several local TV interviews, Newspaper articles and magazine articles. "I love getting deals and saving money and Coupon Keri helps me accomplish just that!" "I love Coupon Keri, she has help me to use my coupon and save money, which I need since I am raiseing my grandchildren." "Coupon Keri posts great deals, making it easier for me to get my shopping done while saving moey and time! I don't have to do as much research because of her. Thanks Keri!" Hollye says "I follow Coupon Keri because I love the great tips and tricks I can learn! I don't have the time or the energy to track down all these great deals, so it's fantastic that Coupon Keri shares all her knowledge with the rest of us." "Being a busy working mom of 4 I love how I can go on-line and find out where to shop for the best deals." "I just started learning how to coupon or be a couponer she has great advise for newbies." "i am trying to be debt free-- saving on shopping seems to be the easiest way to start! coupon keri helps me plan my shopping trips and maximize my savings and time!!" "Love great deals and I can find them with Keri!" "She is AWESOME...Keri has taught me alot about coupons. I save lots of money with my coupons. She is also a very nice person..."
"As a self-employed WAHM mom, I try to maximize each shopping trip and get the most for my money. Coupon Keri is not only a daily resource, but one of my best sources for helping me achieve this"
"I like your page because you always have great advice and deals!" "Coupon Keri has the greatest tips, coupons and giveaways. I love her blog and her posts - and she knows how to coupon!" "I follow you because you have advice on other stuff than just coupons. Coupon pages on Facebook are so numerous and most of them have the same info, yours is different and very helpfull !" "She makes couponing fun and easy! Makes me see coupons as money not just paper!" "My momma always told me, "A quarter saved is a quarter earned!" Coupon Keri has helped me save / earn many dollars this past year!" "I follow Coupon Keri because she helps me stay a "Stay at Home Mom". I love being home to raise my own children instead of having random daycare workers playing Mom. The money saved on groceries every month goes into a college fund. We're ahead of the game!" 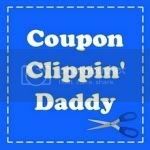 "I'm new to the fun world of couponing and I love folling Keri's blog to see all the great ways to match up my coupons for the best savings.. Learning new things everyday.."
"I am new to couponing and have been recommended by several people to follow Coupon Keri for your excellent finds, deals, and advise." "I have just found Coupon Keri this week and I am so glad to have found someone so close to home. I love couponing, it is a necessity in my life and I have found the web site very helpful and hope to attend a class very soon." "Thank you Keri for teaching me how to save some BIG money by stockpiling! :)"
"Love all the sales and specials that are available to all us "groupies""
"Love everything u do on ur profile! !! Always use the coupons and check ur status everyday! Keep up the good work!" "I have only been seriously couponing for about a year and had been using some other websites for guidance. What I like best about Coupon Keri is that you are local. I live in Florence so, by following your site, I get the scope on all of the local deals instead of seeing deals on other sites and hoping that I can get them around here. Thanks for all of your hard work and advice!" "Coupon Keri shows you many ways to save money, all you need to do is follow her lead and you are on your way to SAVINGS!!!" "I follow coupon Keri b/c she is awesome & had helped me save tons of money." "Your posts are so helpful and organized. I am a mother of 3 boys, one of them is physically handicapped. They keep me busy but with your help couponing seems much easier!!" "Coupon Keri is not only gifted in the area of being at the top of her game with coupons and training. She is always willing to stop and help - even after doing this for 4 1/2 years. I have viewed and followed other coupon masters but both her FB and website Couponkeri.com are the most helpful in our area for Florence, SC. We need this and she has done it! Blessings from Shannon"
"because i live on a fixed income and she really helps me find the best deals and coupons..that are out there...thank you soooo much <3"
"Coupon Keri always has the newest, most up tp date offers and coupons. I also enjoy the tips and saving ideas." My name is Marie and I was wondering if you hold any classess in Medford, OR, or online? Hi Marie, I am in South Carolina so hosting a class there would be a huge trip! I dont think I could do that. I am working on an e-book which will cover everything I do in the classes! Keep your eye out for that to be published! Hi! i attended 2 of your classes in Florence. What an eye-opener! You recommended A Full Cup... I can't for the life of me figure out how to print my printable coupons on my shopping list. They go to an ISO and I never see them again. These are Printable coupons. Did I miss something somewhere? Check this out:: Office depot has a printable coupon for $10 off "qualifying" purchase of $25. Go to www.officedepot.com to for it. (Sorry, I don't know how to link it ... Coupon Keri, could you help out here?) Oh! The kicker is it's ONLY VALID THRU SAT 7/24! I just wanted to say thank you for offering a night class for us working girls.....I cannot wait to meet you and learn how to $AVE CA$H!!!!! Steven, Yes I would love to! E-mail me at couponkeri@gmail.com and we can discuss a location. Thanks! Jacqueline, I would LOVE to have a class at the beach! I just need a location to have it and enough people interested. Do you have any suggestions? Keri--Can you email me and see if we can come up with something? I am unfamiliar with all of this. :-) You should be able to click my name and email me. THANKS!!!! Keri - I work with Melissa Ellerbee and she told me about you. I'm so excited to have found your site. I was wondering if you could come teach a class in Lake City. I have a lot of friends who are interested. We could do it at my church - Lake City First Baptist. We have a huge,nice family life center. Stacy, Thanks! I would love to come teach a class in Lake City! We had one in Lake City last month and it was a big success! If you could e-mail me at couponkeri@gmail.com we can discuss the specifics! Thanks again! Do you have any classes around Monroe, NC? I would love to come to one. How many people does it take to have a class? I would love to learn all that I can. 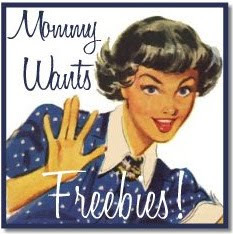 You can email me at mommytucker09@gmail.com. Thanks! I'm already signed up and registered for your January 6 class. Would it be possible to switch to your December 20 class? I'm excited to get started! Will you be having any classes in Sumter?? Is there a cost involved with holding the class @ a private location or just the $10 cost per person? Jenn, I would love to hold a class in Sumter. Because of the distance, there is a minimum of 20 people. Cost is $10 per person, public or private. E-mail me at couponkeri@gmail.com! Thanks! I don't teach in Ohio. I don't know of anyone either. Maybe you could post this question on my Coupon Keri Facebook page to see if anyone knows of any. Hi Shannon! The Nexxus CRT was printing last week. Not everyone got it either. The thing about the CRT coupons is that they are not always the same for everyone. I don't know how the system decides. I did get one last week but went ahead and used it on a hairbrush! Wish I had held onto it now! Thanks! Love your site. i have only been couponing for about 6 weeks. I have saved so much money. I am down to paying for half of my groceries and household items. I will take any advice for a newbie. Also have seen on here info about a binder. But I do not see details on what it is or how to order. Thanks all. I went to Harris Teeter today and got three Yakisoba noodle packs. They had them listed 10 for 10 dollars, but I only got three. I used 3 $.50 coupons which would make them $1.50 for the three. Then, since HT doubles they took an additional $.50 for each item. Which to me, I thought would make them free, which they were not. ( don't get me wrong I am not complaining) So, my question is, why did I have to pay $.03 for the purchase? It looks to me that they taxed me on the purchase price before they they took off the doubles. Is that how that works? Just curious in how they do the taxes. Yes, that is correct. If you read a coupon, it states that you are responsible for tax. Think of a coupon as a payment. So, by using the coupon you are paying for the total with the coupons then paying cash for the tax. I hate to be a pain but, could you please remove my email address from the list of 5000 winners? Hi Keri! Love your site!! Do you post a list for Lowe's Foods, by chance? Also, do you do any classes in the Greensboro area? As of right now, I don't. But I will look into adding it! Thanks for the tip! Also, I have not had any workshops in the Greensboro area, however I would be willing to come teach a workshop there! If you know of a location, please e-mail me at couponkeri@gmail.com. Thanks! I have about 20 people interested in a class in florence. Are u available may 7? Keri, I was wondering if you had heard about the coupons at Family Dollar. Bi-Lo accepts competitor coupons, I was wondering if anyone had tried to use those. When you go in Family Dollar there is a paper booklet of coupons where you would get your sales flyer. They have coupons for all kinds of things! There is a $1 off Whisk which I was wondering if I could stack on the $2 one I have to use at bi-lo? What do you think? As far as I know, Bi-Lo does not take competitor coupons. At least none of our stores here. Also, if your store allows it, then it will more than likely be "either", "or" and no stacking. The problem is that Bi-Lo does not have any official coupon polic. Did you stop doing Harris Teeter? I didn't notice a write up for one this week.